Cabins were comfortable and when electricity and water were out because of weather the management helped out with water bottles. Hi, my name is Art. my gf Loretta and I stayed on a Tuesday night. everything was wonderful, we took our pets and we booked the perfect cabin. It was pet friendly, had a personal hot tub and grill on the deck. Room very clean with nice kitchenette. Was personally welcomed by their official greeter cat, Michael. Other guests seemed to be repeat guests who started to look for him as soon as they arrived. The cabin was super cute and had everything we needed, at the "rustic" level, which was appropriate. The owners of the property was quick to address any needs or concerns we had, and they arranged for a late arrival, which was great since we didn't get in until almost 10 PM Friday night. The private hot tub was nice, although it had trouble staying hot and was low on water when we got there (they filled it the second day, as soon as I mentioned it). The location in South Fork was the best part. We spent Saturday driving north to Creede and Lake City, and then on Sunday we drove south to Wolf Creek Pass for an amazing 9-mile hike. We would definitely go back to Foothills Lodge and Cabins! Open floorplan, clean and maintained hot tub, kitchen with fridge and stove for cheap meals, and late night check in. Stay here as much as I can! Great people great place! Thank you so much!!! I came in after the office was closed and they helped me out so I didn't feel rushed! The staff were extremely nice and ready to help with anything. Gave us great advice about where to eat and sight see. Loved that they had movies we could sign out for free. We will return to these cabins!!!! Beautifully decorated room with comfortable bed. Micro,fridge, coffeemaker. Great price! Lock in a great price for Foothills Lodge and Cabins – rated 8.8 by recent guests! One of our best sellers in South Fork! 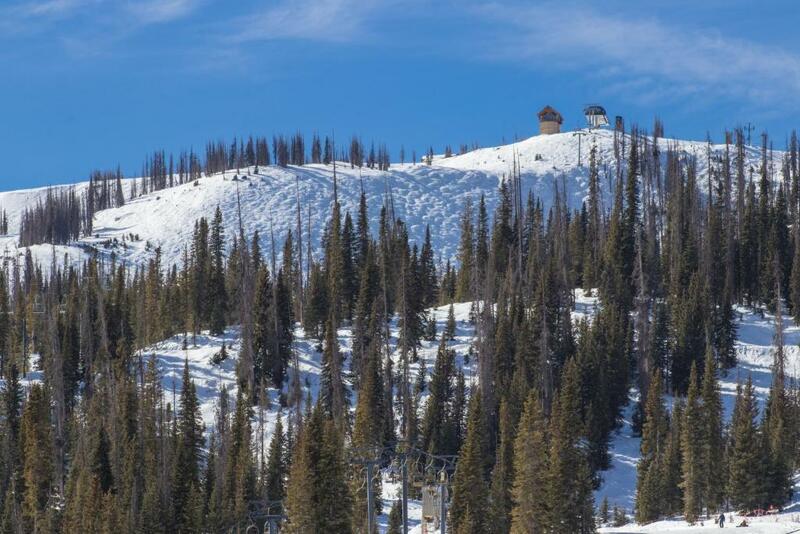 This lodge is 19 mi away from Wolf Creek Ski Area. Free Wi-Fi is offered. 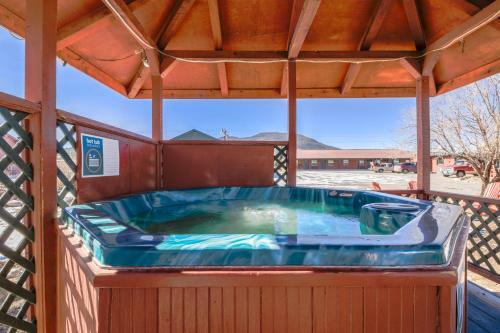 A central hot tub, parking for boats, snow mobiles and ATVs is provided. Each room includes a seating area, a work desk and coffee-making facilities at Foothills Lodge and Cabins South Fork. An private bathroom is also provided. 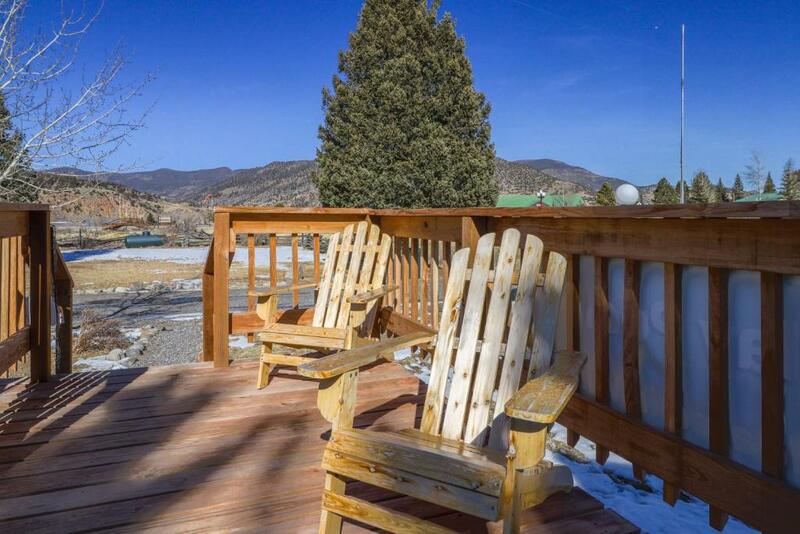 Guests can take advantage of the BBQ facilities at South Fork Foothills Lodge and Cabins. 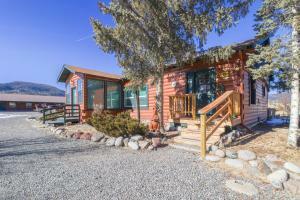 Great Sand Dunes National Park and Preserve is 72 mi from Foothills Lodge and Cabins South Fork. 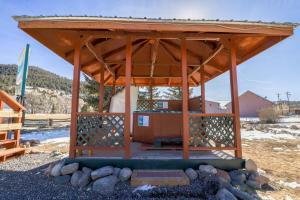 The hot springs in Pagosa Springs is 50 minutes' drive from the lodge. This property is also rated for the best value in South Fork! Guests are getting more for their money when compared to other properties in this city. When would you like to stay at Foothills Lodge and Cabins? This apartment includes a seating area with a work desk, a flat-screen TV with premium sports channels and a kitchen with a refrigerator, an oven and coffee-making facilities. An private bathroom is also provided. This cottage features a separate seating area with a fireplace, a flat-screen TV and a full kitchen. 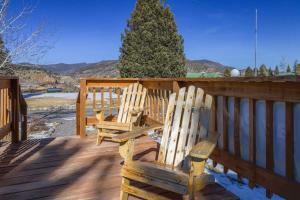 An outdoor seating area with barbecue facilities and a picnic table is also offered. This room features a seating area, a flat-screen TV with premium sports channels and an en suite bathroom. A microwave, a small refrigerator and coffee-making facilities are also included. Please note that this room is subject to availability. This apartment features a oven, stovetop and barbecue. This suite has a toaster, satellite TV and DVD player. This studio features a DVD player, barbecue and oven. This suite has a microwave, kitchen and barbecue. This studio has a oven, kitchen and DVD player. This suite features a toaster, DVD player and oven. This suite has a barbecue, kitchen and microwave. This suite has a oven, microwave and DVD player. This suite features a microwave, DVD player and stovetop. This bungalow has a kitchen, DVD player and oven. This holiday home features a oven, microwave and stovetop. This suite has a toaster, oven and DVD player. This holiday home features a dishwasher, satellite TV and microwave. Plan a family reunion or large group getaway you'll remember for years to come at the Foothills Lodge and Cabins, a 16-unit property in the heart of South Fork with three hot tubs, dog-friendly accommodations in some of the cabins, access to shared hot tubs, and a wonderful location for hiking, skiing, and year-round outdoor adventures. Make yourself at home in one of the six lodge cabins (Lodge Cabin 1, Lodge Cabin 2, Lodge Cabin 4, Lodge Cabin 5, Lodge Cabin 6, and Lodge Cabin 9), each of which is equipped with two bedrooms, one full bathroom, a kitchen, and 650 square feet of living space. There are two smaller lodge cabins (Lodge Cabin 7 and Lodge Cabin 8) with one bedroom and one bathroom apiece, as well as the cozy Lodge Room 3 with its studio-style layout (without a kitchen) and a full bathroom. 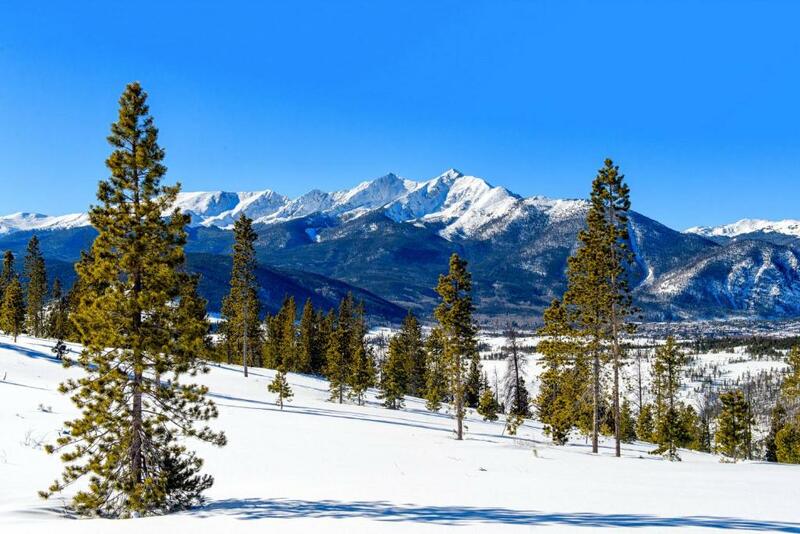 You'll find a few additional amenities at the cabins and lodges named for the local fauna, including a private hot tub at the studio-style Fox Cabin, the two-bedroom Elk Cabin, and the two-bedroom Moose Lodge. 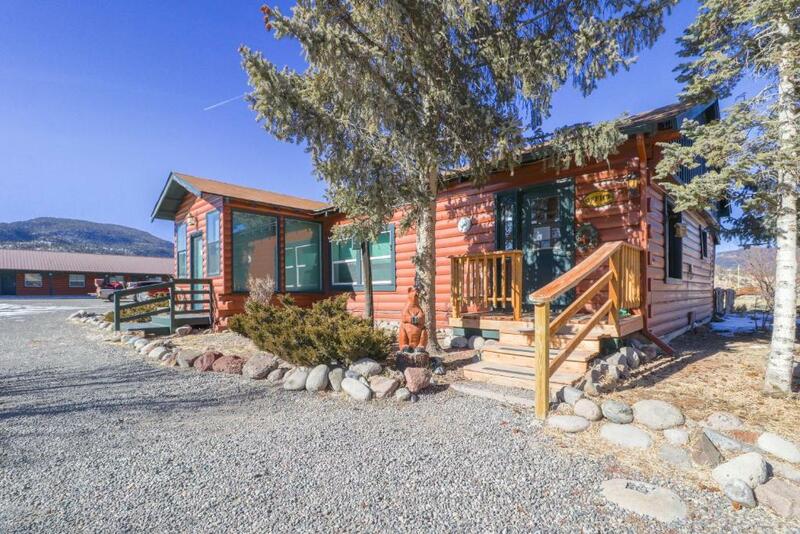 The last four cabins (the Deer Cabin, the Coyote Cabin, the Bear Cabin, and the Antelope Cabin) each offer two bedrooms, one full bathroom, a kitchen, and a fireplace. 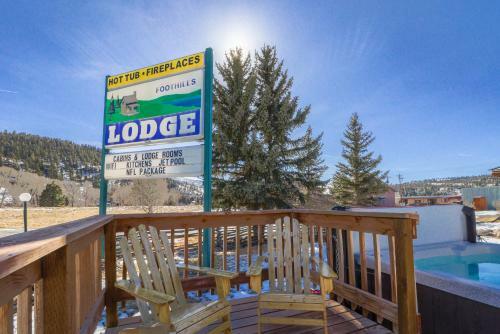 These quaint log cabins and suites make up the entire Foothills Lodge and Cabins in South Fork, a hub for fishing, hiking, and skiing on the edge of Southwest Colorado's Weminuche Wilderness. 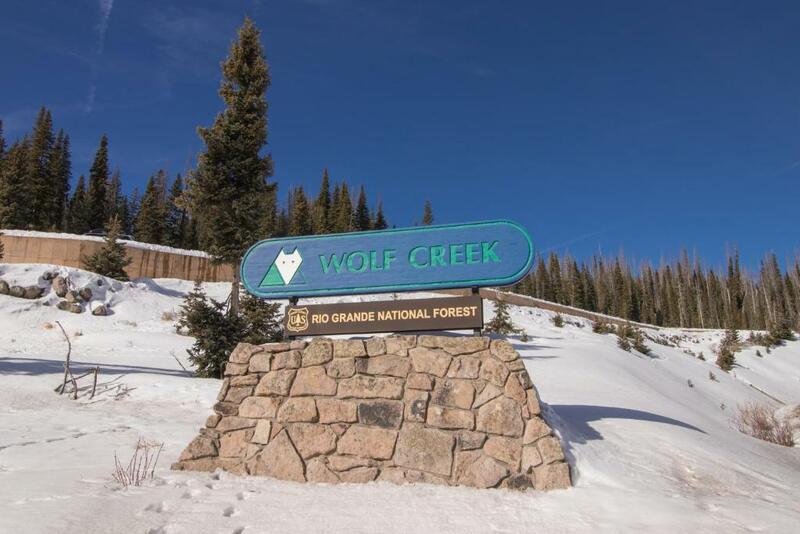 Here at the confluence of the South Fork and Rio Grande Rivers, you can hike the world-famous Continental Divide Trail, ski the winter slopes of Wolf Creek Ski Area 19 miles south, and take memorable day trips to Great Sand Dunes National Park and Preserve 66 miles east. House Rules Foothills Lodge and Cabins takes special requests – add in the next step! Foothills Lodge and Cabins accepts these cards and reserves the right to temporarily hold an amount prior to arrival. Please inform Foothills Lodge and Cabins of your expected arrival time in advance. You can use the Special Requests box when booking, or contact the property directly using the contact details in your confirmation. Booking.com said that one of our rooms had a bed and a couch for two adults and a child. That room had one bed- no couch. We had to put the extra child into our other cabin. Please get details on web site up to date. Dirty when I got there. Food crums on floor and table. Mattress is hard as a rock. The window was left open by cleaning staff and toilet and bathroom pipes where frozen for day and a half. Did not send anyone when called about pipes being frozen said it should work soon since window is closed and heat is turned on. Not having on site staff is not worth the cost savings because there was no cost savings compared to one with on site staff. Super dirty!! Hot tub gross! Shower didn’t drain. Microwave would switch off stove power. Dishes dirty. 4 towels for 6 people for 5 days. Furniture old and torn. Needs a good cleaning. It was too hot in the room and there was only one plug in if you wanted a fan you had to unplug something! Cabin was nice! You had to take your own coffee even tho they had all kitchen utensils and coffee maker and microwave and stove! It was quite dusty in and around the sofa bed. A lot of missing kitchen appliances. Nice with the hot tub and the kids had good chances to make new friends. No hot water upon arrival. No iron. No blow dryer. Comfortable beds. Lots of space for the price. The temp wud slowly slide down on the hot tub. it was 104 when we got in and it dropped to 98 in about an hour. we tried to re set the temp but it jus wudnt bring it back up. But it was bearable. not a big deal. The check out time cud have been at 11am and we wud not have felt rushed. But it is 10am. after we woke we got in the hot tub again but then barely had time to take a shower and then clean the grill from the night before and do the dishes and allow my girl fren to put on her make up when 10am arrived. It took the cabin a little to warm up and there weren't really too warm of blankets. Clean basic cabin. Perfect price, beautiful surroundings. 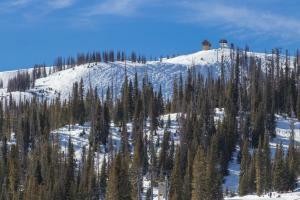 About 20 min drive from Wolf Creek ski area.